On Sunday, April 12, our Rector, the Rev. Canon John Kitagawa, shared with us his plans to retire this summer. You may read his announcement here. We rejoice with John and Kathy as they begin this new phase of their life journey. 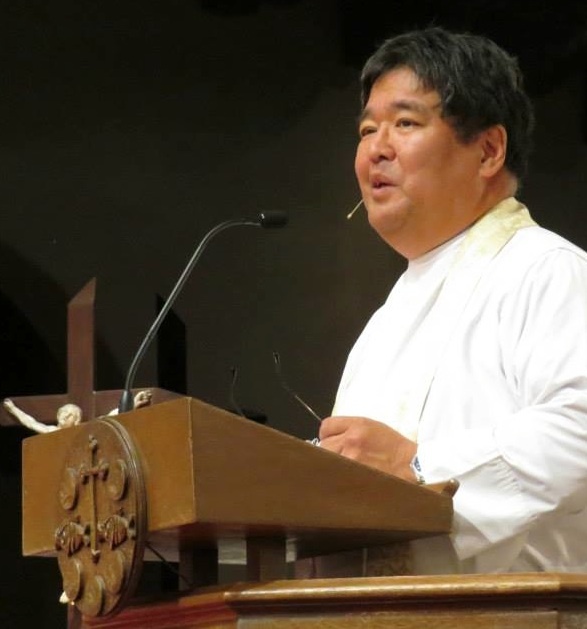 We ask for your prayers for the parish as we proceed through our transition and for the support and thanksgiving for John and Kathy Kitagawa during their time of transition. John’s last Sunday with us will be Sunday, June 21. We will celebrate his ministry liturgically at the 7:45, 9, and 11:15 a.m. services, with special prayers, special choral and instrumental music, and presentations. A festive Coffee Hour at 10:15 a.m. will provide an opportunity for conversation and cake in cool comfort. The Sunday bulletin is posted here. If you would like to write a letter of appreciation to John and Kathy, please use letter size (8.5 x 11) paper and bring or send unfolded to the office attn. Stella by June 14. A party was held on Friday, June 12, from 5 to 7 p.m. in the Music Center and Children’s Center Courtyard. Beer and wine donations benefitted Habitat for Humanity. It was a truly festive and heart-warming occasion, with lots of touching and inspiring words and an entertaining “thank you” skit from the Chalice Players. We have been truly blessed to have John and Kathy with us for fourteen years, and we wish them happiness as they embark on future adventures.